I purchased one for my 1973 Chevelle from www.oldairproducts.com Quality and fit was very good, thinking the price was around $300 a few years ago. Here's an evaporator that will fit your Monte. I would also consider upgrading your evaporator to a 1977 version that uses an orifice tube and eliminates all the moving parts found in our VIR systems. In place of it will be an accumulator that is typically $30. The second link is for 77 Monte Carlo Evaporator which is considerably less expensive and more reliable. And I also forgot that Rock Auto carries the 77 evaporator for only $66.79. Here's the link. I did this upgrade on the 75 Laguna last summer and it works great. Fits into your existing A/C box with very minor modifications. Good info! Do you have to do anything with that lines? Yes, forgot that part. You will have to use hoses from a 77 to make it work. Otherwise you can use an original evaporator that's correct for a 74-76 A/C system and use the VIR eliminator kit. This is a step up from the original system but not as good as 77 setup as it does not utilize an orifice tube but uses a metering block. 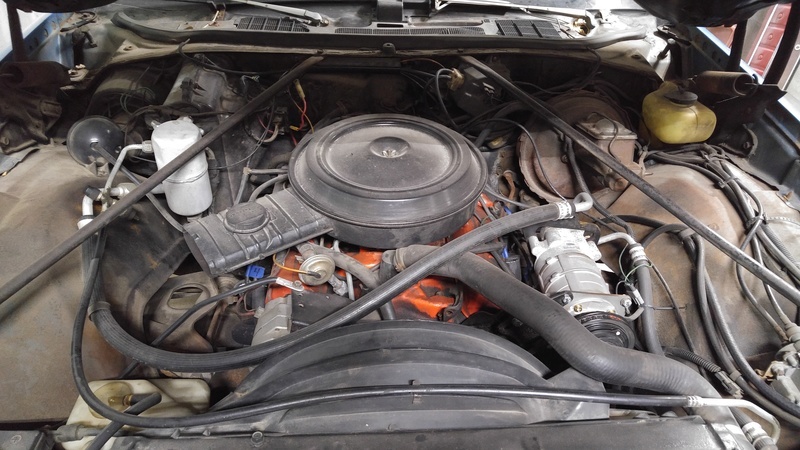 I was fortunate enough to have a complete A/C system I pulled off of a 77 El Camino I parted out a few years back so the only expense I had was purchasing a new accumulator and orifice tube. Everything went together without any issues. Below is a link to the VIR eliminator kit if you decide to that route. Also, below is a pic of my A/C system on my Laguna for reference. I didn't realize that the VIR didn't play well with 134A. I had a '74 in high school, just before R12 was sky high. When I wrenched, we used to do 134A conversions that was basically a new receiver/dryer or accumulator and new fittings. I'm pretty sure we didn't do anything as old as our cars though. I have a '77 now. Great info!